Lights Out Lester are a very unique act – an entirely self-produced rock duo. Marty Felton & Benjamin Wade met when they ended up living in the same house together at university and finding not only that a lot of their musical tastes overlapped, but also that each had vast, intriguing musical libraries and knowledge in areas that the other one could learn from. 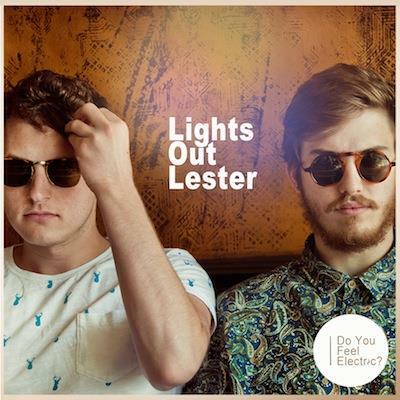 After saving up money over a year or so (in which time the band put up 3 demo tracks and equipped their own studio), Lights Out Lester began work on their debut EP, entitled ‘Do You Feel Electric?’ SMOKESCREEN is the first track to surface and shows an exciting blend of myriad musical textures and hooks. The band are currently in the stages of completing the EP which will be released this Autumn, after which the band will be playing live shows to promote it. Stay tuned!